At least two key advisers helping hold Israeli Prime Minister Benjamin Netanyahu back from a threatened war with Iran have been sidelined in a party primary to pick candidates for a Jan. 22 election, political sources said on Tuesday. Dan Meridor and Benny Begin, two of eight cabinet ministers who form Netanyahu's inner council, were trounced in an internal election by more hawkish members of the ruling Likud party on Monday, raising doubts over their return to the next government. Both men have opposed attacking Iran's nuclear facilities unilaterally during secret deliberations by the inner council, according to an Israeli official, and their likely ouster could point to a strategic shift closer to confrontation. "They have been the most vocal against the military option, along with (Moshe) Yaalon and (Eli) Yishai," the official told Reuters, referring to two other ministers from the forum, which lacks statutory authority but has often paved the way for formal policy making by Netanyahu's coalition government. Israel says Iran is developing nuclear weapons and has threatened to take military action to guard against what it sees as a mortal threat. Tehran dismisses the accusation. The United States and other Western powers share Israeli fears about Iran's intentions but have urged Netanyahu to show restraint to prevent the eruption of a new Middle East war. Israel is presumed to have the region's only nuclear arsenal. The loss of Meridor and Begin would be partly off-set by the planned retirement of fellow forum member Defense Minister Ehud Barak, announced separately on Monday. The centrist Barak has, with Netanyahu, most publicly advocated striking Iran should international sanctions fail to curb its uranium enrichment. A fourth forum member sidelined in the primary by right-wing Likud was Civil Defense Minister Avi Dichter. Dichter only joined the Netanyahu cabinet in August and has not publicly shared his views on tackling Iran, yet he is widely seen as war-wary. Under the previous, centrist government, he was the only minister not to support Israel's 2007 bombing of a suspected Syrian atomic reactor, according to a cabinet official at the time. Dichter has declined to comment on that episode. Netanyahu is seen winning January's election, and his government is likely to move further to the right even if he puts together a new coalition with the left-leaning opposition. Not only has his Likud already joined forces with Foreign Minister Avigdor Lieberman's powerful ultra-nationalist party, but Monday's primary promoted Likud pro-settler hardliners at the expense of perceived moderates. Diplomatic analyst Chico Menashe told the morning news program on Israel Radio the looming reshuffle of the "Forum of Nine" inner council could help push the premier into a collision course with Western allies, who are already concerned by his sabre-rattling on Iran and Jewish settlement building in the occupied West Bank. "To a large degree Begin, Meridor, Dichter and Barak were a very significant anchor for the prime minister, which he needed in order to maneuver properly on the challenges and in the face of the international community," Menashe said. "Something amazing has happened. Four out of the nine members of the forum that forms the apex of Israel's national security and statesmanship are on their way out." Netanyahu could, in theory, keep on any or all of the four outgoing ministers as professional appointees. But he would be hard-pressed to expend such political capital on men who do not bring any parliamentary backing. The frontrunner to succeed Barak as defense minister is Yaalon, another ex-general in the "Forum of Nine". Yaalon has talked tough on Iran, but is more circumspect within the forum, according to the Israeli official briefed on the deliberations. While Barak is embraced abroad for his peacemaking efforts while premier in the late 1990s, Yaalon is relatively untested and lacks mileage in liaising with the United States. That, in turn, would potentially limit his ability to stay Netanyahu's hand, suggested Dennis Ross, former Middle East adviser to US President Barack Obama. "Whoever would replace (Barak) in the next government will be hard-pressed to have the same stature or influence both with the prime minister and with us," Ross told Reuters. Both on the diplomatic and military front, Israeli Prime Minister Benjamin Netanyahu will draw some comfort from his offensive against Gaza as he switches his gaze once more to his main strategic challenge -- Iran. Israel views Iran's nuclear program as an "existential threat" in a totally different league to the problems posed by Hamas, which runs the Gaza Strip. Netanyahu fears a nuclear-armed Iran could one day eradicate Israel and has promised that Tehran will not get the bomb should he win a third term in office in elections on Jan. 22. In the meantime, he has just ended an eight-day offensive against Hamas with the aim of halting rocket fire out of the coastal territory into southern Israel. Six Israelis and over 170 Palestinians died in the fighting before an Egyptian-brokered ceasefire came into effect on Wednesday, ending a localised, asymmetric conflict that looked very different to any potential war with Iran. "You cannot compare the Gaza Strip to any other military environment, which makes it unwise to describe what has happened there as a rehearsal for attacking Iran," said Uzi Eilam, senior research fellow at the Institute for National Security Studies. Nonetheless, the Israeli military inflicted serious blows to Hamas' weapons arsenal, much of it sourced from Iran, and showed the world that it has cutting-edge technology, particularly when it comes to missile defense. Israel says its new Iron Dome interceptors knocked out 421 incoming rockets from Gaza, scoring an 84 percent success rate. Without it, there would have been much more destruction and a significantly higher death toll. Analysts here believe this will worry Iran's main ally in the region, Hezbollah, which is based in Lebanon and is estimated to have anywhere up to 60,000 rockets pointing across Israel's northern border. 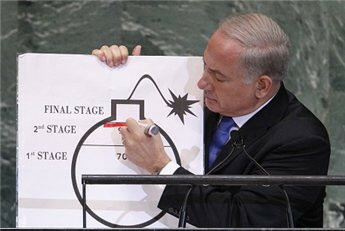 Netanyahu has suggested he might attack Iran if diplomacy and international sanctions fail to halt its nuclear progress. Iran says its atomic program is peaceful, and if war breaks out Israelis fear Hezbollah might leap into the fray. Politicians say the Iron Dome gives Israel an advantage. "The Iron Dome has proved itself to be a game changer ... and has undoubtedly lessened the threat of Hezbollah," said Yohanan Plesner, an opposition member of parliament who sits on the Knesset's foreign affairs and defence committee. The fact Israel weathered some 1,500 short-to-medium range rockets from Gaza with relative ease was savoured by the country's leaders, who, for once, were not clamouring for an committee of enquiry following a major military enterprise. "We have moved light years ahead in recent years, both in terms of preparation, instructions to the people, the whole way the municipalities operate," Plesner said. "This explains why almost 1,500 rockets have caused a relatively astounding level of low casualties." Defense Minister Ehud Barak predicted that it would take a "few years and billions of shekels" to build a defensive shield that covered the whole country, but the groundwork was in place. "No army has such a system, nor does any state or civilian population ... From this point we look on with optimism," he said. "Eventually (it will) protect the entire state of Israel against most threats, short and medium-range missiles." Israel's answer to the bigger, ballistic missiles of Iran is Arrow II, an interceptor that works in a similar way to Iron Dome, but at far higher altitudes. Tehran has vowed to retaliate if it comes under attack and is estimated to have a few hundred long-range rockets which could hit the Jewish State. Developers of the Arrow II, which has so far proved itself only in trials, boast a shoot-down rate of some 90 percent. Israeli ministers were not just singing the praises of their missile technologies in the wake of the Gaza offensive, but also their intelligence gathering. Israel said it attacked 1,500 sites in Gaza and "severely impaired" Hamas' launching capabilities, suggesting it would take a long time to recover -- possibly helping to sideline it in the event of an Iran conflagration. "In Iran, I have no doubt, there are fevered discussions going on as they try to understand how was it that the Jews managed to crack so many targets," Civil Defence Minister Avi Dichter told Israel Radio. Hamas, which refuses to recognise Israel's right to exist, has claimed victory in the fighting and denied that it suffered any major losses in the round-the-clock bombing raids. Whatever the result on the ground, there is little doubt in Israel that Iran suffered a diplomatic setback this week. "It was very important for Iran to see a major rift between Israel and Egypt," said Meir Javedanfar, an Iranian expert who teaches at the Interdisciplinary Center in Herzliya. But by avoiding a potentially bloody ground invasion of Gaza and welcoming Egyptian mediation in the crisis, Israel managed to stave off a major split with President Mohamed Mursi and opened a welcome window of dialogue. Moreover, the ceasefire brokered by Mursi made clear that Hamas, once viewed as being under Iranian sway, is very much in the Egyptian camp and is not taking any orders from Tehran. "It's becoming clear that major Palestinian groups have realized that (Iran) would fight Israel to the last Palestinian, and this is a price which they are unwilling to pay," said Javedanfar. "Hamas has moved away from Iran." Few Israelis believe that the ceasefire with Hamas will last for any great length of time, but it should provide Netanyahu with time to refocus on the Iranian dossier. Whereas he had broad support from the military, the public and politicians for his Gaza offensive, he will rapidly rediscover that the divisions over a much more difficult assault on far-away Iran remain as deep as ever. As such, the perceived achievements of the last eight days are unlikely to inform on final decision-making on Iran. "This is not going to affect the future possible confrontation between Israel and Iran," said Giora Eiland, a former Israeli National Security Adviser. Israeli Prime Minister Benjamin Netanyahu sought on Tuesday to convince Arab states that an Israeli military strike on Iran would benefit them, removing a potential threat and easing tensions across the Middle East. Israel, widely believed to be the Middle East's only nuclear power, believes Tehran intends to build atomic weapons and has consistently urged the West to increase up sanctions. Iran says it is enriching uranium for peaceful energy purposes only. The United States and other Western countries have rejected Netanyahu's demand to set a limit for Iran and have urged him to refrain from military action to give diplomacy and sanctions a chance to work. Netanyahu, who is running for re-election in January at the head of the right-wing Likud party, told the United Nations last month that a strike could wait until spring or summer when he said Tehran might be on the brink of building an atomic bomb. During his two-day visit to France, Netanyahu will travel to the southern city of Toulouse with President Francois Hollande for a ceremony of remembrance for the victims of an Islamist gunman who killed seven people there in March, including three Jewish children. Iran has drawn back from its ambitions to build a nuclear weapon, Israel's defense minister was quoted as saying Tuesday, while warning that his country may still have to decide next year whether to launch a military strike against it. Tehran denies its nuclear work has any military dimensions but governments in Europe and the United States are increasingly concerned over its intentions. Diplomacy and successive rounds of economic sanctions have so far failed to end the decade-old row, raising fears of Israeli military action against its arch-enemy. De fence Minister Ehud Barak told Britain's Daily Telegraph newspaper that an immediate crisis was avoided when Iran chose to use more than a third of its medium-enriched uranium for civilian purposes earlier this year. "There could be at least three explanations. One is the public discourse about a possible Israeli or American operation deterred them from trying to come closer," he said. "It could probably be a diplomatic gambit that they have launched in order to avoid this issue culminating before the American election, just to gain some time. It could be a way of telling the IAEA (International Atomic Energy Agency) 'oh we comply with our commitments'." Analysts say Iran already has enough low-enriched uranium for several nuclear bombs if it were refined to a high degree, but may still be a few years away from being able to assemble a missile if it decided to go down that path. Western diplomats say Iran appears to have nearly finished installing centrifuges at an underground nuclear plant, potentially boosting its capacity to make weapons-grade uranium if it chose to do so. Asked by the British newspaper whether, if Iran had not pulled back, the crisis would have peaked "about now", Barak said: "Probably yes". He added however that he believed Iran was still resolved to build nuclear weapons. "We all agree that the Iranians are determined to turn into a military nuclear power and we all share the declaration that we are determined to prevent Iran from turning nuclear and all options are on the table," he was quoted as saying. "We mean it - we expect others to mean it as well. So it's not something just about us. But we, for obvious reasons, see the Iranian threat in much more concrete terms." He said Israel reserved the right to act alone. "When it comes to the very core of our security interests and, in a way, the future of Israel, we cannot delegate the responsibility for making decisions even into the hands of our most trusted and trustworthy ally," he told the Telegraph. "It doesn't mean that we would be sorry if the Iranians come to the conclusion on their own. The opposite is true. But, if no one acts, we will have to contemplate action." The US government has intelligence reports that Israel is planning a pre-emptive strike on Iran in order to throw the US presidential election to Mitt Romney. America’s political response is to stage one of the largest naval exercises in history is taking place near the Straits of Hormuz, the “choke point” on the Persian Gulf where Iran is capable of shutting off 35% of the world’s oil. The fragile western economy would shatter immediately were Hormuz blockaded due to military action. Netanyahu is blackmailing the west, threatening to “crash” their currencies and destroy their economies. In addition, it was reported in The Guardian that Britain has denied use of her bases in Cyprus, Diego Garcia and the Ascension Islands along with existing bases in the United Kingdom by the United States if any plan to enter into a pre-emptive attack on Iran is suggested. Ministry officials have informed Prime Minister Cameron that an attack on Iran would represent a “war crime” and would be inconsistent with International Law. From today’s Guardian: “Military action not right course", Downing Street says. Britain has rebuffed US pleas to use military bases in the UK to support the build-up of forces in the Gulf, citing secret legal advice, which states that any pre-emptive strike on Iran could be in breach of international law. They have pointed US officials to legal advice drafted by the attorney general’s office, which has been circulated to Downing Street, the Foreign Office and the Ministry of Defense. Russian Foreign Minister Sergey Lavrov said on Tuesday that there is “absolutely no evidence” that Iran has decided to include a military component in its nuclear program, RIA Novosti reported. Speaking during an interview with the Russian daily Rossiyskaya Gazeta, Lavrov also said that his country will scuttle any UN Security Council resolution that could be interpreted as authorizing military action against Iran. "As the Libyan experience has shown, sadly, a military scenario is possible," Lavrov stated when asked whether Israel or the United States could start military operations in Iran. Russia will therefore exercise an extremely cautious approach at the UN Security Council, he added. “We won’t allow any more such disingenuous interpretations. We will see to it that no resolution is open to interpretation like the one on Libya,” Lavrov stated. A day later, Lavrov was joined by Swiss Foreign Minister Didier Burkhalter who indicated that Switzerland opposes sanctions against Iran and is willing to work closely with Russia to prevent an escalation in the region. American politics and plans for Israeli expansionism into Syria and Iraq are at the heart of conflict with Iran’s capabilities representing the balance of power in the region. 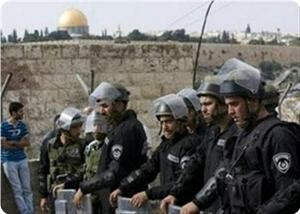 Extremists in Israel believe Obama, in a second term, is unlikely to support Israel despite his recent promises. Romney has been losing ground in Ohio despite attempts to misrepresent his political strength and without Ohio; Romney stands no chance of winning. Only a war, perhaps a world war can save Israel and Prime Minister Netanyahu believes Israel is doomed if there is another four years of Obama presidency. In order to attempt to control Israeli aggression, President Obama has agreed to meet with Prime Minister Netanyahu. Britain recently sent Sir John Sawyers, head of MI-6 to try to convince Netanyahu of the futility of his stated objectives. The Israeli strike had been planned to be launched from Azerbaijan but diplomatic efforts from Tehran have “closed that door” on Israeli aggression. It is said that two squadrons of American built F-15 and F-16’s returned to Israel over Georgia and Turkey, then off the Syrian coast to Israel, being refueled by American air tankers. A shorter route over Iraq or Armenia, perhaps even Syria may have had serious consequences. This leaves Israel the only option of flying directly over Saudi Arabia. Any other path, Turkey, Iraq, the 4500-mile “open sea” route are unlikely. Turkey had recent talks with Iran, has supported Iran in her efforts to end the nuclear stalemate and is unwilling to be seen as a NATO “doormat” for Israel’s expansionism against Islam. Similarly, Iraq has had recent talks with Iran, and has added to her air defense capabilities with a $4 billion order for advanced Russian weaponry, both air defense and advanced combat aircraft. Though Iran has claimed to have significantly improved her existing air defense system, rumors in the defense community support the supposition that Russia has delivered S400 systems to Iran, though not in significant numbers, enough to down, with absolute certainty, any Israeli or other plane, even ballistic or cruise missiles, that approach Iran though hundreds of miles away. The critical issue to the current naval exercise which includes three American carrier battle groups is the attempt to impress upon Iran that her anti-ship missile defenses can be overwhelmed by massive airpower. This means that Israel has no plans to attack heavily defended facilities as aircraft and pilot losses are certain. Israel feels its political objective can be accomplished by attacking rural and even abandoned areas with no targets of value and little or no air defense in depth. This is the same tack that Israel chose in their two attacks on Syria, in 2003 and 2007, attacking open desert and claiming propaganda victories. No actual targets were destroyed as Syria, since 1996 has had a non-export S300 advanced air defense system capable of destroying any missiles or aircraft currently in Israel’s or even America’s inventory. As the 25 nation exercise ends, and the thousands of Marines and Special Forces return home, happy they are unlikely to face Iran’s 800,000-man army and 13 million ready reserves, Iran, herself, is planning a naval exercise. The Iranian exercises will test 3,600 defensive locations in order to test integration capabilities between air defense and the ability to respond to acts of aggression. “If it came to war, there would be carnage. The Iranian casualties would be huge but they would be able to inflict severe blows against the US and British. It is not just Iran that is concerned about attacks. Military forces within the United States have been on high alert for the past several weeks, though no reasons have been given. A “9/11” style attack, most likely on Washington, could be expected if a need to blame “Islamic extremists” is seen as the only way to support Israel’s territorial ambitions in the Sinai, West Bank, Syria and Iraq. Media mogul Rupert Murdoch has minced no words in mauling US President Barack Obama and his running mate, US Vice President Joe Biden’s electoral campaign over a tweet attack. "Nightmare for Israel if Obama wins,” tweeted the chairman and CEO of the sprawling News Corporation media conglomerate on Saturday. “Biden outright lied about personal relations with Bibi (Israeli Prime Minister Benjamin Netanyahu),” Murdoch said after the VP called Netanyahu “my friend for 39 years." “Biden threw CIA under bus, now WH throws State!" he wrote. 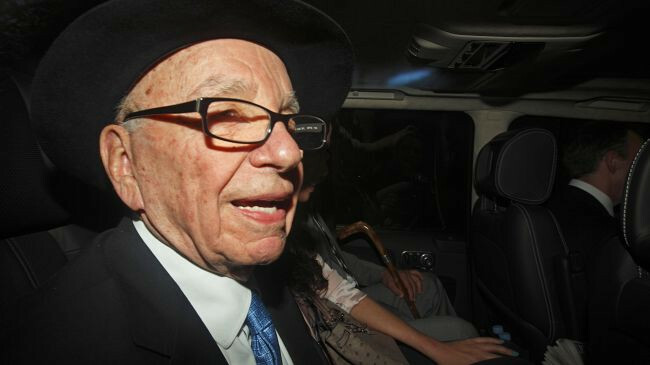 Listed three times as one of the 100 most influential people in the world, Murdoch is known for exploiting his vast media empire to push for war in Iraq, former US President George W. Bush’s election, spreading resentment of Muslims and immigrants, and blocking global action on climate change. The verbal attack followed Obama’s calling a September 2 demand by the Israeli premier for the international community to set a "clear red line" for Iran to halt its nuclear energy program, just “noise,” he tried to ignore. The United States, Israel, and some of their allies have accused Iran of pursuing non-civilian objectives in its nuclear energy program with the Israeli regime repeatedly threatening to attack Iran's nuclear facilities based on the unsubstantiated allegation. 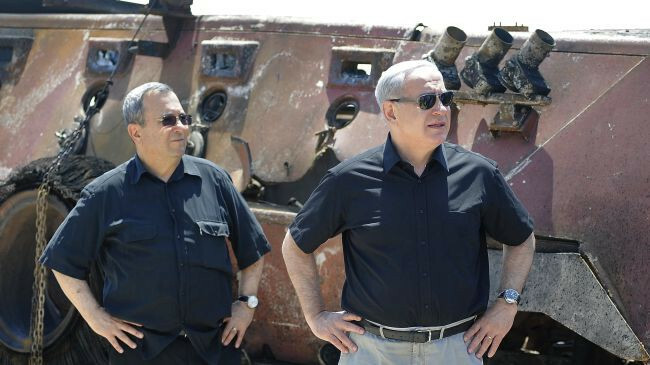 Israeli Minister for Military Affairs Ehud Barak (L ) and Prime Minister Benjamin Netanyahu stand next to a burnt armoured vehicle near the Kerem Shalom border crossing after unidentified gunmen crossed into Israel from Egypt on August 6 , 2012. 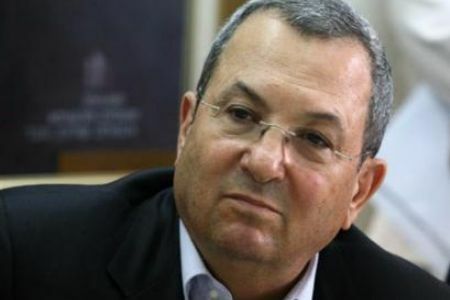 The rift between Israeli Prime Minister Benjamin Netanyahu and his Minister for Military Affairs Ehud Barak over Tel Aviv’s relations with the US is growing wider. Once seeing eye to eye in adopting a belligerent stance against Iran by backing the military option, the duo have gone their separate ways since relations between the US and Israel were soured over Washington’s rejectionism to fulfill a Netanyahu demand to set red lines for Iran's nuclear energy program. 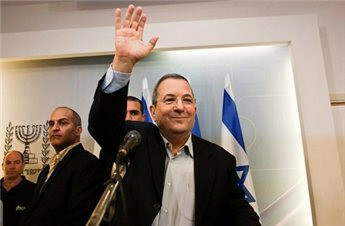 With a snap election in Israel in the cards, Barak has distanced himself from Bibi in a bid to fish in troubled waters. “As far as I know, yes, he [Barak] distanced himself in an attempt to make political gains,” Yisrael Katz, the minister of transportation, told Israel Radio. Netanyahu has been quoted in the Israel media as saying that his defence chief has deliberately tried to fuel tensions between the US and Israel to introduce himself as a moderate actor holding the key to mending ties between the old allies. Netanyahu loyalists have accused Barak of taking advantage of his recent trip to the US to demonstrate his opposition to the premier’s policies at a time when Bibi’s efforts to garner American support for his position has hit a snag. The Israeli premier himself has been accused in the US of interfering in the presidential elections by putting pressure on Obama in favor of his Republican rival Mitt Romney, an old friend of Netanyahu's. 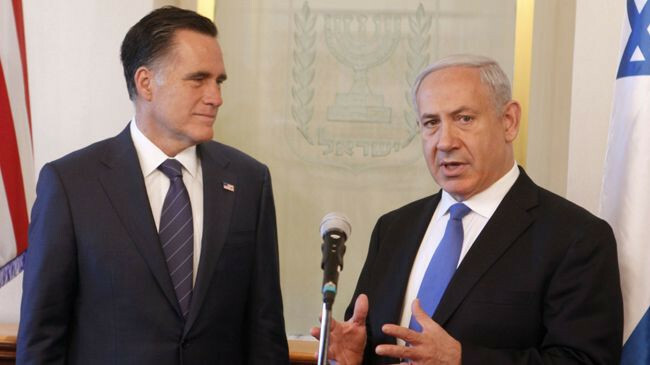 An investigation conducted by the Israeli newspaper Haaretz has found that 19 of Netanyahu's wealthiest American donors have also given to Romney, the Republican Party, and/or other Republican candidates. The internal friction in the Israeli political arena comes as Netanyahu has pointed out that he may call a snap election, originally scheduled for October 2013, if the coalition parties fail to concur on a tough 2013 budget which necessitates spending cuts. However, the US card may fail to tilt the electorate in Israel in favor of Barak. Recent polls indicate that Netanyahu remains unrivaled as a contender for the post of prime minister while Barak’s small Independence party struggles to cross the electoral threshold for a seat in parliament. According to Israeli experts, there is strong opposition within the Likud Party, led by Netanyahu, to Barak’s presence in the next government as the minister for military affairs.